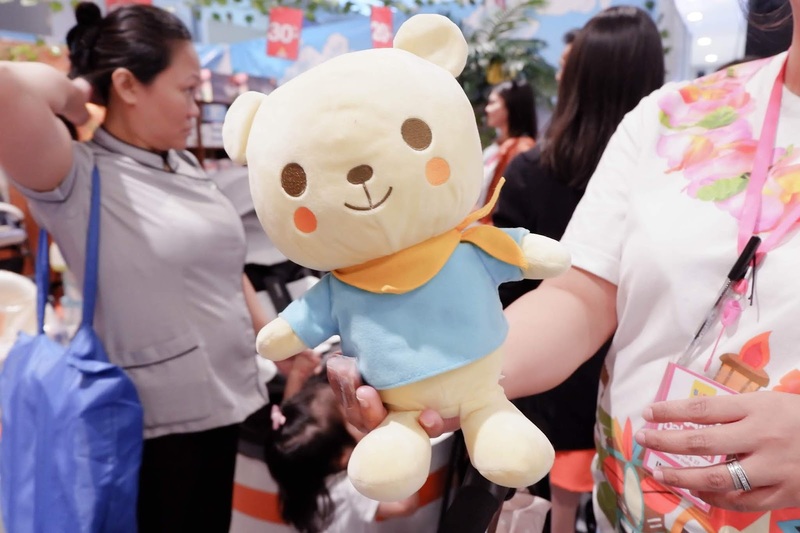 Now on its ninth year, Baby Company’s Grand Baby Fair is grander than ever. For most moms, this 3-day sale is definitely an event to not miss out on. 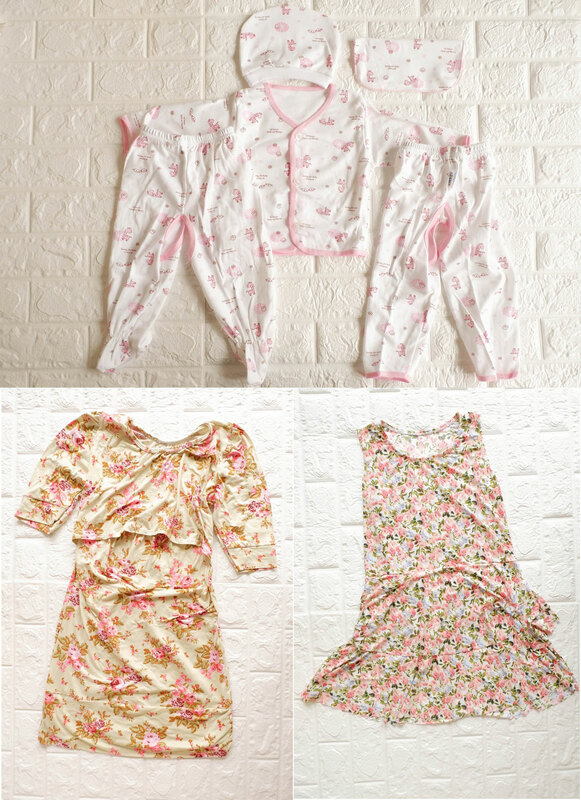 It is the best time to take advantage of huge discounts and to hoard on baby necessities from favorite baby brands. A lot of the things I bought for Baby Q before and after she was born were on sale during the Grand Baby Fair Year 9. I wish I knew about this sale before because I would have been able to save a lot. There were some really adorable baby items on sale but I didn’t buy them because Baby Q was too old to make the most of them. This table was one of the best deals, in my opinion, during the sale. It was priced P1,000 (from P2,000) and it could keep a baby busy for hours. It had movable gears, a detachable toy phone that played music, shape matching toys, and more. 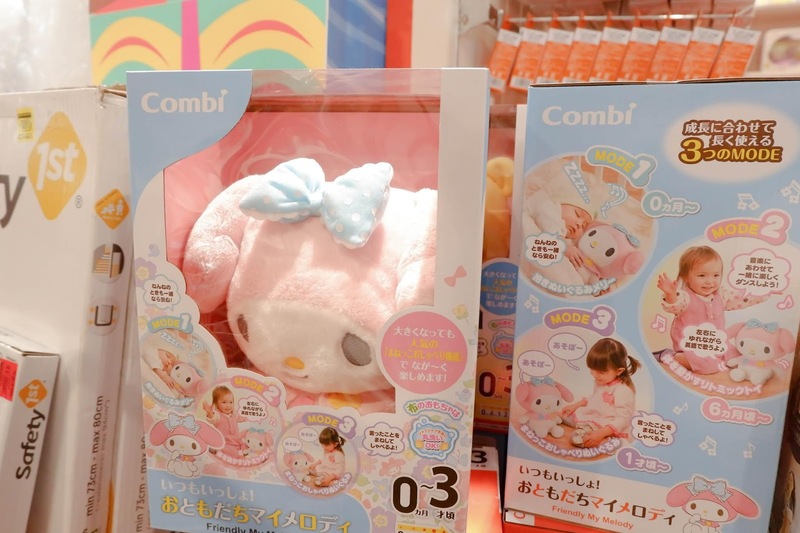 One of the more adorable educational toys are these stuffed toys from Combi. They play songs and it can even record your voice. Infants would love at how these electronic stuffed toys sway from side to side. Baby Q learned to count early on thanks to her red V-Tech piano which I bought for P2,000. During the event, it was on sale for around P1,500 - P1,800, if I remember correctly. Fisher Price also had other educational toys on sale during the event. O Home was also present in the fair. You can read about my O Home Bladeless review here. Of course, the ever popular Swag Bag is on every mom’s wishlist. 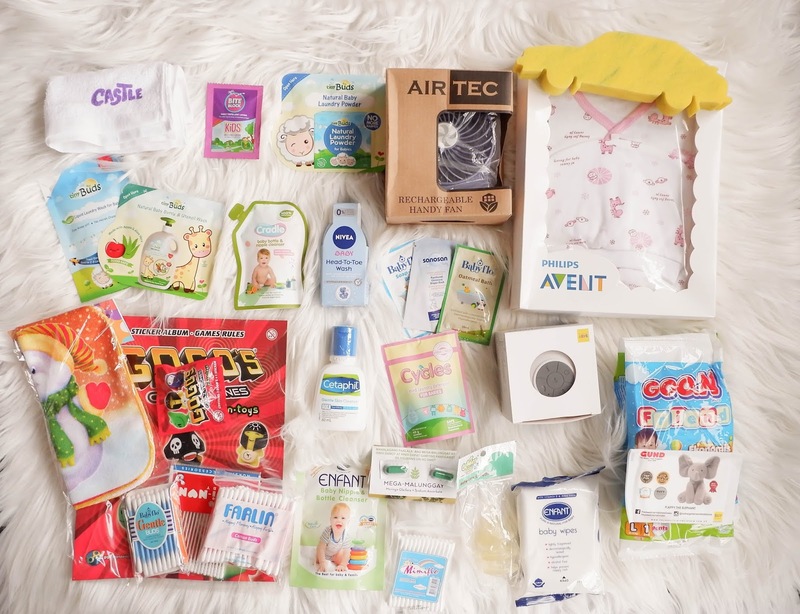 This year’s swag bag was a treat, it had a rechargeable fan and a waterproof speaker along with samples from beloved baby brands for moms to try. The swag bag was available to Mom Card holders who have made a minimum of P6,000 single receipt purchase during the event. Summer is almost here and the rechargeable fan is perfect for the hot weather ahead. As for the waterproof speakers, these could not have been more perfect for my baby. Baby Q really loves my speaker because I play her favorite nursery rhymes through it and she just loves singing along. However, because she loves her speaker so much, she should often ask to hold the speakers while she eats so the speakers would often end up sticky. With this waterproof speaker, I can wash it with ease and I won’t have to worry about the water ruining the speaker. 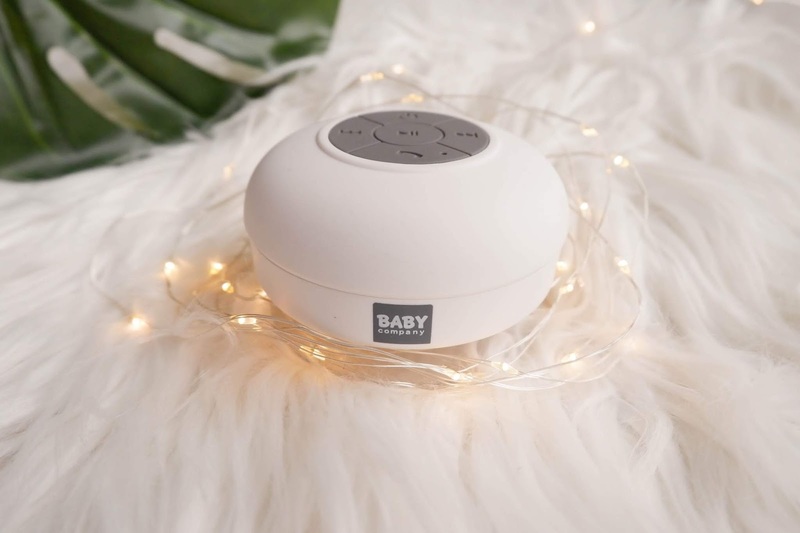 It also has buttons for playing, pausing and playing the previous and next songs so my baby won’t have to cry to me whenever she wants to play a different song. 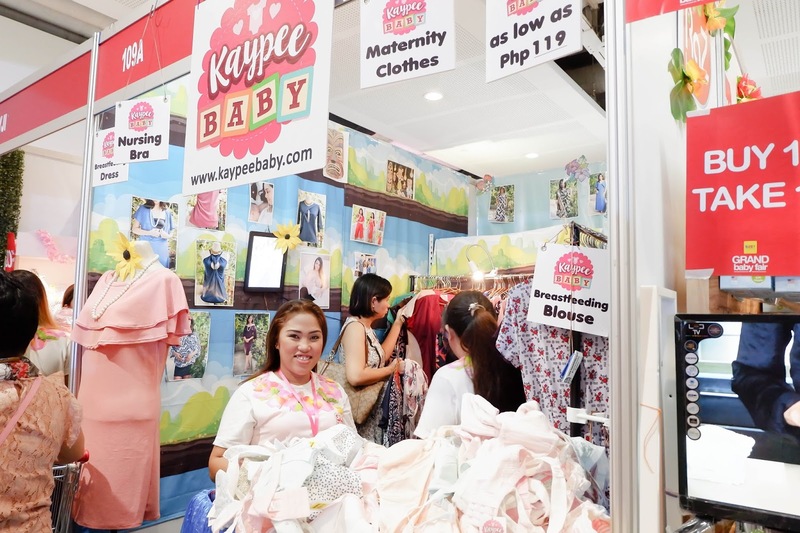 Of course, I had to drop by my favorite breastfeeding clothing brand, Kaypee Baby. Even though they don’t carry my exact bra size (their largest cup size is cup B), their breastfeeding bras are still comfortable and their wired breastfeeding bras create a nice silhouette. I dropped by Nivea Baby to stock up on massage oils and face creams but they weren’t available. Instead, I opted for the buy 1 lotion take 1 lotion since Baby Q likes it when I massage her to sleep even when I use baby lotions. 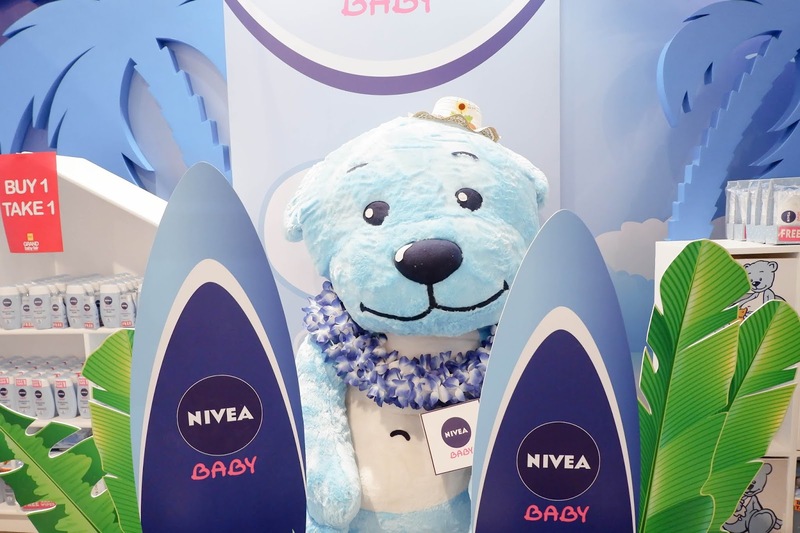 Read my Nivea Baby post here. 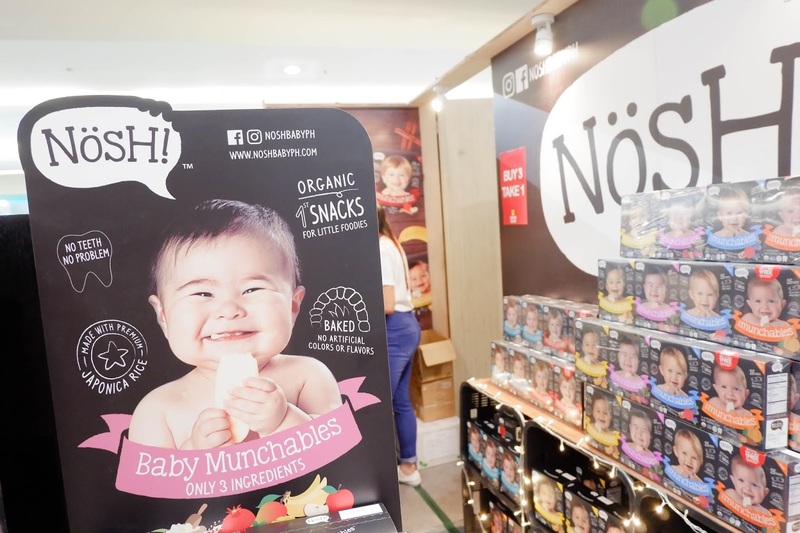 Baby Q really loves Nosh snacks but she always makes a mess out of the munchable wafers. Luckily, they also had rice crackers which are perfect for toddlers. Baby Q loved the Nosh rice crackers, so much that she ate 5 packs when we got home. I had to hide the box because she kept finding it and handing it over to me while saying “cookie, cookie~”. Read my Nosh Baby review here. I have always loved Tiny Buds Baby’s cute packaging, it’s just too cute. 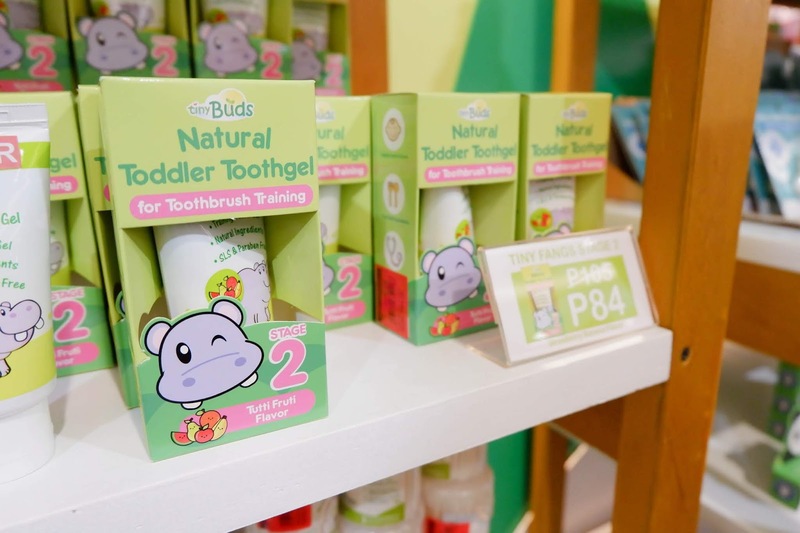 Tiny Buds Baby’s colorful new look was unveiled at the Grand Baby Fair Year 9 and it’s just as cute as its previous packaging! 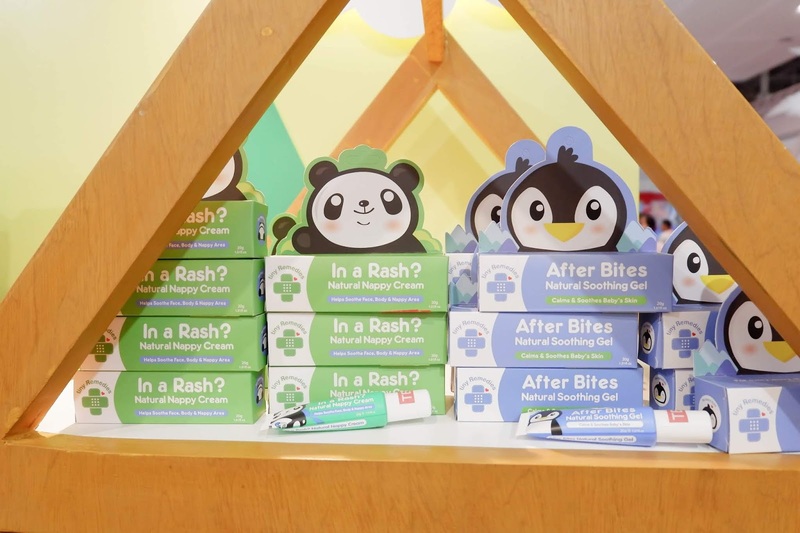 I do prefer the rash cream’s previous packaging because it looks those adorable Korean hand creams packaging with screw shaped caps. Speaking of rash creams, I had to stock up on some more because I’m almost out of it. 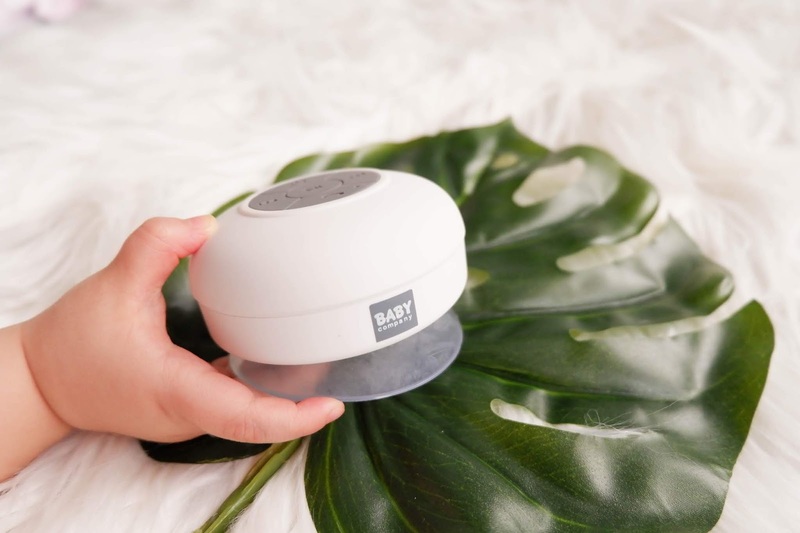 It’s really effective and it immediately soothes my baby. Read about my Tiny Buds Summer Essentials review here. As for brushing her teeth, Baby Q likes to copy me when I brush my teeth so I finally bought her a tooth gel of her own. Tiny Buds Natural Toddler Toothgel contains no sls, no paraben, no artificial colors and no fluoride which is why it’s perfect for tots who are just learning to brush their own teeth. I was surprised at how affordable this toddler tricycle from Wizkids was. Baby Q seems to really like it and it is supposed to be good for until she is 5 years old. I also got these Baby Mum-Mum Apple Rice Rusks sample for Baby Q to try. Baby Q wouldn’t let go of this lamb stuffed toy for a while, even I found it cute. 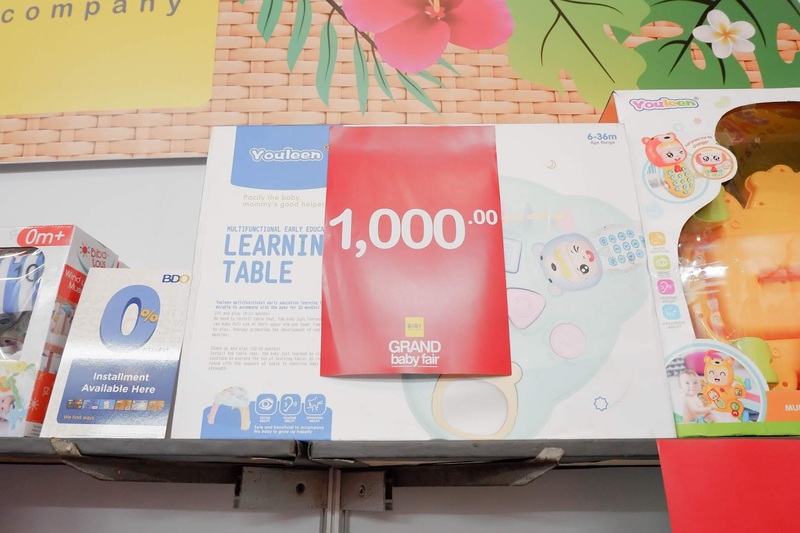 For those who made any purchase in the Grand Baby Fair Year 9, a free photo was printed out and given to them for free. 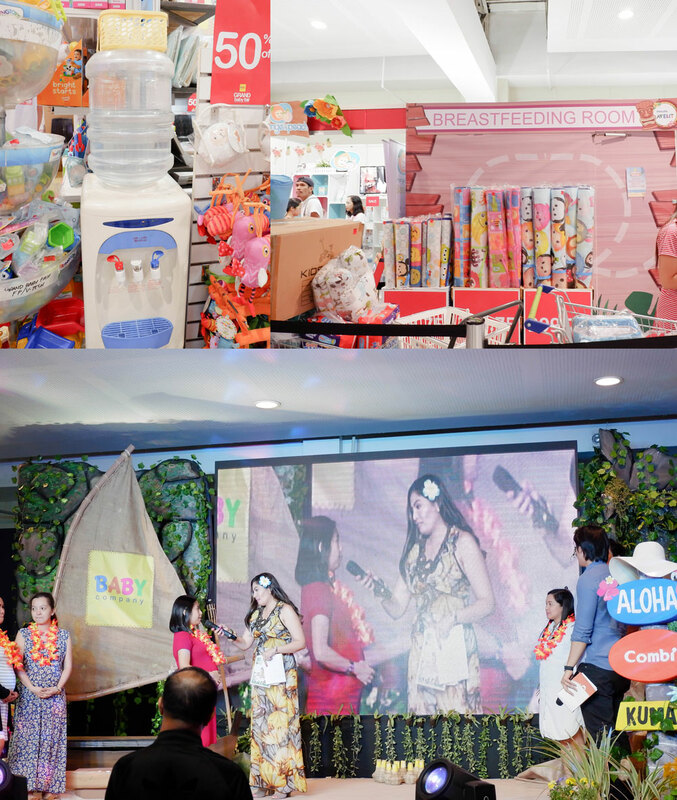 Aside from the huge discounts, freebies and raffles, mommies and daddies enjoyed talks from celebrity guests and baby brands. There are even water stations and a breastfeeding station inside the venue. Shopping sure is thirsty work, even for babies! Don’t worry if you missed out on this 2019’s Grand Baby Fair, there’s always next year! To learn more about the Grand Baby Fair, visit Baby Company’s Facebook page: facebook.com/babycompanyph. This giveaway is for the moms! I understand that being a mom can come with lots of expenses but I hope that these prizes can ease your burden even by a bit. The prizes I included here either don't fit Baby Q, don't fit me or products which I have a lot of such as fabric conditioners. The winner can choose to meetup in QC or have their prizes shipped. The shipping fee will be shouldered by the winner. Giveaway ends on March 15, 2019. 1. Like Prelel Yu, Foodie Mumshie, Dreamer Babble & Baby Company on Facebook. 2. Follow @Prelel, @FoodieMumshie, @Dreamer Babble & @BabyCompanyPH on Instagram. 4. Comment on this blog post why you're excited for next year's Grand Baby Fair. Winner has been announced on my Jumiso review. Wow im excited for the grand baby fair because im sure there will be a lot of items that can afford to buy for my baby needs .. I am excited for the next grand baby fair because I am looking forward to get or buy more things for my baby. I love the different brands of baby essentials. Discounted products that can surely be a big help for a mother who is on a budget. I'm so excited for next year's baby fair coz I love shopping stuff for my babies especially those that are on sale or has freebies. Had I known about the baby fair this year, I would have surely taken advantage of it. , Its such a 1st big blessings for our baby if I win this awesome giveaways 😘😘 .. Malaking tulong talaga it sa mga mommy dahil maraming discounts 😘 ..
Wow this is so exciting! The much awaited event of the year Mommy Prelel. The next Grand Baby Fair... This is a big help for all the mommies like me na naghahanap ng mga sales, freebies and discounts for our babies. Madami tayong choices na pagpipilian, madami pa tayong makikilang mga mommies, makakapagjoin din tayo s mga activities. Super enjoy and exciting talaga ang event na ito and we all know na lahat ibibigay natin ang best para sa ating mga babies dahil ganun natin sila kamahal. 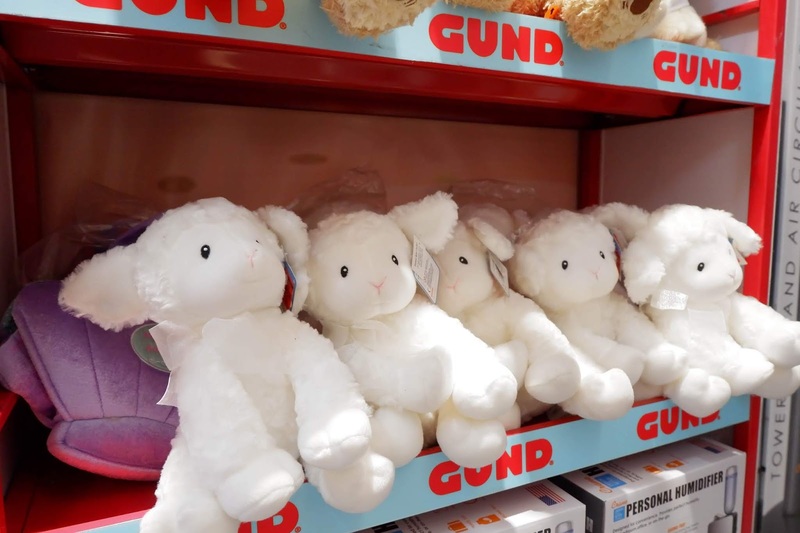 I am really excited for the next grand baby fair because I am interested on finding baby stuff for a cheaper price and learn more on how to take care of my baby by providing ghings that are best for him. 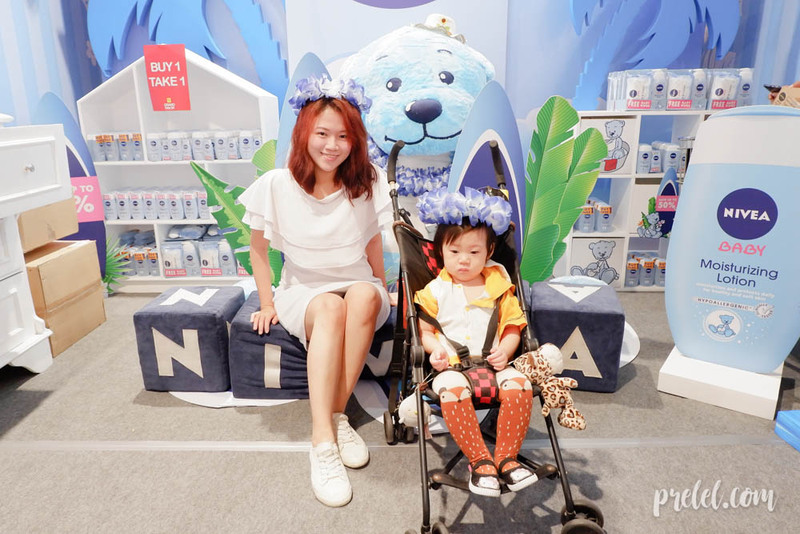 Through this blog I can say that this is really essential for mothers like me because it can make me see what to expect for the next baby fair event. A big thanks to mommy prelel. Nothing is as much as overwhelming as motherhood Mumshie Prelel! I am so excited with the Grand Baby Fair because the event will probably give me the chance to finds lots of stuff that will certainly help me not only my baby but also me on daily basis. The event is dedicated for moms, mommy- to- be, not to mention breastfeeding moms and babies, toddlers as well. I am so excited with the bunch of products on the Grand Baby Fair! Surely there will be lots of discounts, super sales and mark down prices for selected products! I am so excited! im excited for the next Grand Baby Fair, because i'm sure you have this giveaway again hihihi Joke only!��, honestly, i have so many stuff want to buy for my kids in an affordable price and gusto ko mabilhan ko sila lahat. Im so excited for tha next Grand baby fair because i know theres a Lot of items for baby that will sureLy for affordable prizes .. But as a full time mom i have no time to go out because i am the only ome who carried my baby .. Isa pa po walang enough money to buy kasi i have no work then ung husband ko kuLang na kuLang palagi ung sahod sa mga pangangailangan Lang ni baby sumasakto ung budget ..that's why i joining this giveaway kasi dito nLang po talaga ko umaasa para makuha ko lahat ng gusto ko for my baby di Lang for her pati na rin po para saken kasi di po namen afford and hindi mag kakasya sa budget namin ..kaya naman hoping po na manalo ko dito . I really need this for ky baby and also for me .. Sana ron maexperience ko pmunta dyan sa grand baby fair i know sobrang saya dyan mamili .. I'm happy and excited for the next grand baby fair maraming pagpipilian at mabibili dhil sa big discount,at afford ng mommy tulad kong pinagkakasya ang pera.at eto ang inaabangan ng lahat.Sumali ako dto sa giveaway if ever palarin ako ishare ko ita sa mga pamngkin ko at ganun sa bilas kong malapit ng manganak na wala png kagamit gamit.. Excited po ako sa next grand baby fair kase alam ko na maraming items na pwedeng bilhin sa murang halaga at maganda ang quality. 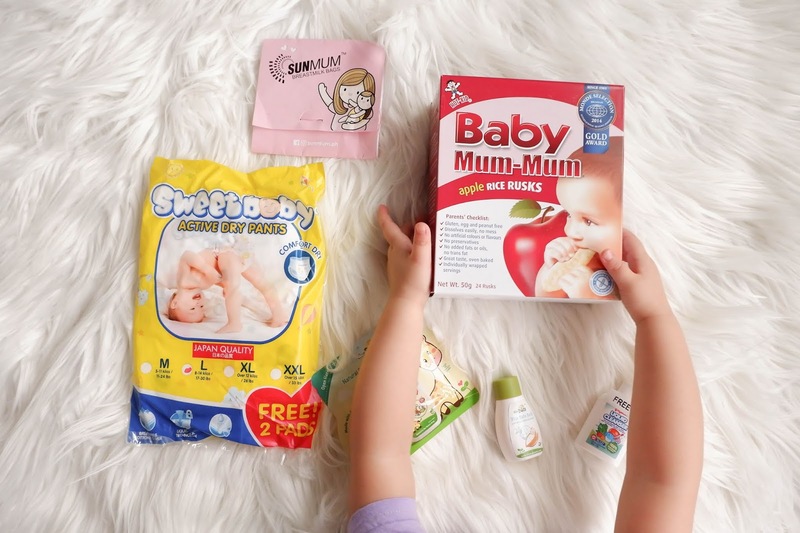 sobrang affordable at makakatulong tlga sming mga mommiesto help a save a lot and im sure na mgiging msaya ang mga baby nming mga mommies sa mga product na yan . Super excited for next year Grand Baby Fair because of all discounted , sale and affordable prices i know i have many things i can buy for my Troy👶. Super saya ito for sure. I'm excited for the big discounts and huge sale for all the baby's stuffs. If a have a 2k in my wallet then, i would expect to have a lot of items from the grand baby fair next year. Can't wait! Excited for the next year grand baby fair.. It helps a lot because I wait my 2nd baby girl to come..
More mommies love this event..
IM SO excited for nex year's Grand Baby Fair Because i learn a lot of things and im so excited to meet other moms and Especialy ilove discounts and freebies hoping to be there. 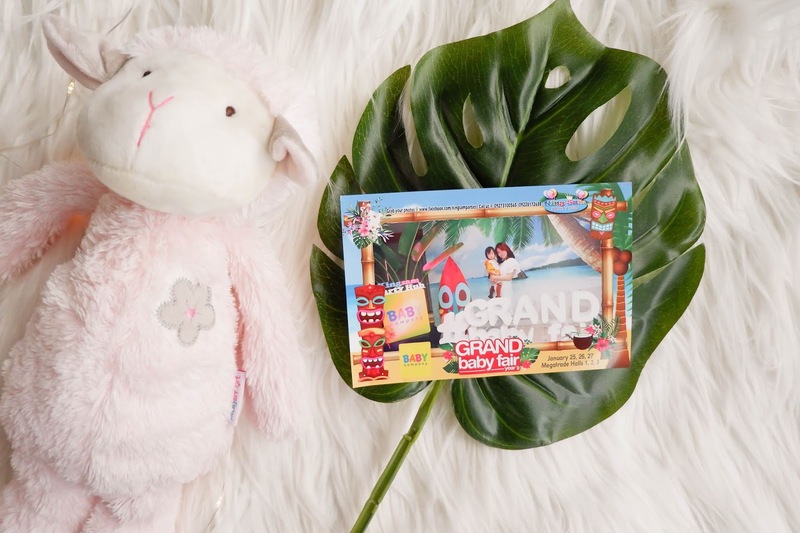 There's a lot more to be excited for the next grand baby fair and one of these are the discounts, huge sale and different kinds of baby brands to choose from. And aside from that, I'm also excited to buy and haul our favorite baby brands and enjoy the fair as well. I'm excited to buy our favorite baby brands. Actually I'm already making a list on what to buy for the next grand baby fair. So that when the baby fair comes, i won't buy unnecessary things aside from what we really need. If only that Grand Baby Fair is so near to our place then we'll go. But for now #Teambahay muna ako. I dont have someone to look after my 9month old baby. So im excited for the next Grand Baby Fair! Im always looking forward to see some of the Mommy Bloggers that i really admire. And also the celebrity mommoes and their babies. Special mention to Iya Villania and Primo Arellano! Because my son is looks like him. Hehehe. Plus freebies and the exciting sale! Siguro ill hoard more of Tiny Buds products because i love organic amd natural. :) Fave ko yung powder at Diaper rash cream nila. I wanna try Nosh too! :) Hopefully sa next event we'll be there! Nakakaexcite talaga Grand Baby Fair. Lalo na sa mga soon-to-be mamshie. Gusto kong dalhin dito ang mga babies ko. I know they will love it. I love all the products but my favorite is yung pang paligo lalo na ung mga nivea products and also the breastfeeding bra. Im so excited to win this. Positive and love your babies. Super excited po ako for the Grand Baby Fair kasi as a first mom wala po akong idea kung saan bibili, kung ano yung bibilhin,kung ano yung swak sa budget and thanks to you Maam dahil sa blog na to nabigyan niyo po ako ng mga option na gagamitin ko for my first baby. Thanks for sharing your knowledge Maam. I love this baby fair ! I am looking forward to win and at the same time I'm excited for the next year's Grand Baby Fair for my baby Ria. She's turning 2months old this February. Hopefully next year we can join this upcoming event. I'm also excited to see those items that is perfect for my baby needs because it is my first time to join this event. Thank you. I am excited for the next year Grand Baby Fair for my twins kasi it saves money , effort and time. Kasi maraming discounts ang lahat ng Baby essential such as diaper, toys, dress and many more. It saves effort and time kasi by just roaming around nandiyan na lahat makikita mo ang mga hinahanap po. At nakakaenjoy ang experience kasi may ma meet kang ibang mommies and guests na willing to give their advices and experiences na pwde mong makunan ng inspiration about their mommy life. Im excited for next years Baby Grand Fair it wasn't called grand for nothing.Im excited to check out the activities happening that day and the fun. Most specially I can learn a thing from the talks from celebrity moms and experts. Excited also to participate in games and win some really exciting prizes. 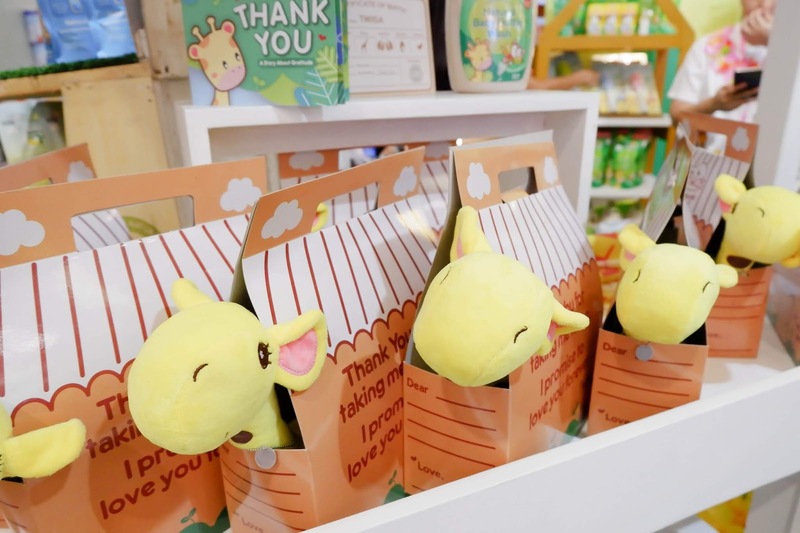 Other participating brands have their own contests, too in their booths so its really exciting.And ofcourse theres a lot of great deals from this event from different participating brands and baby products. 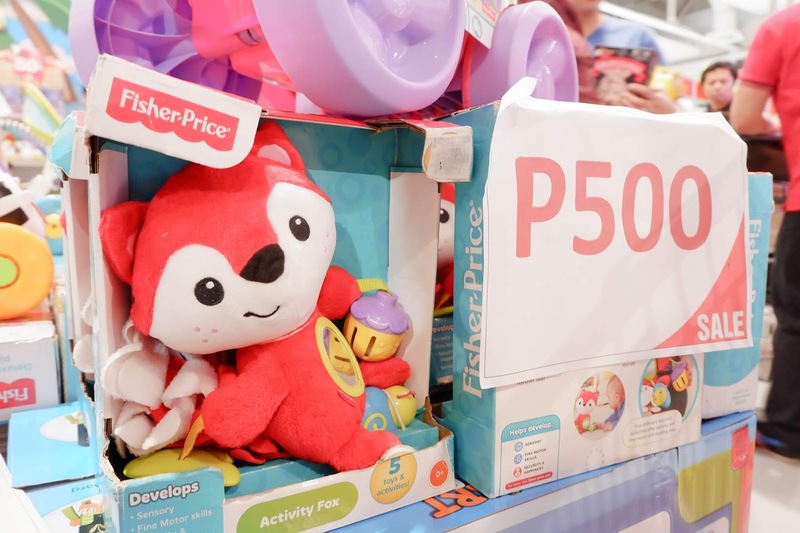 I am excited for the next Grand Baby Fair because of the huge discounts they offer and also for a single mom like me its gives me ample time to make ipon pa more so I can buy more essentials for my son. I really love the bike you bought for your daughter Q, hope they have pa like that. Crossing my fingers to win. Thank you. 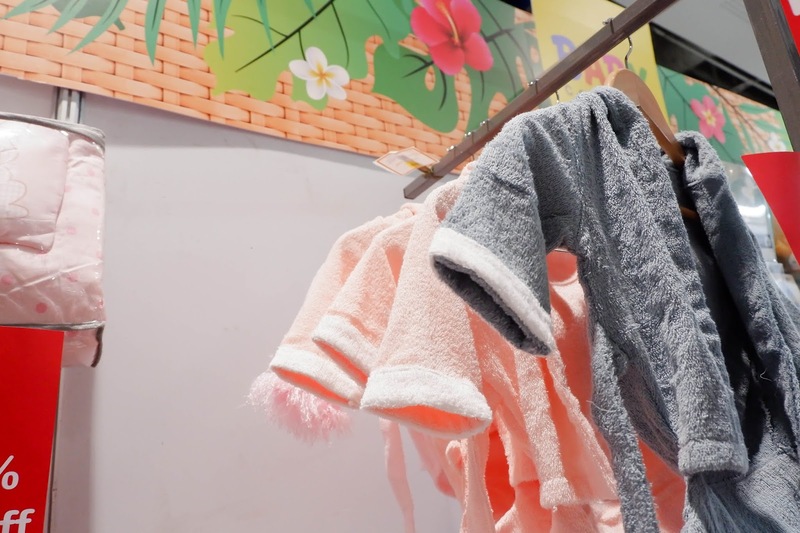 I always get excited in next grand baby fair because i can score good deals from baby products and I can see my mommy friends and mommy celebrities who keeps inspiring us how beautiful motherhood is. im excited for next years baby Grand Fair because there will be lot of freebies to give away and lots of items up for grabs. especially now that i have a toddler and an infant hoarding baby supplies is a must. i wanted to be always prepared and complete with my baby essentials. Exciting ang next Grand Baby Fair because of the freebies and discounts on baby essentials.. I'm a mom of two, 7 years old daughter and 1 year old baby boy, that's why malaking bagay yung ganitong mga event para makatipid tayong mga mommies.. Hoping to win this giveaway, keeping my fingers crossed! I'm sooooo much excited for this event and hoping we could join with my baby boy.This is the only way we could bond he's only four months and I have to work far away from him so that I could give all the things that is necessary for him.I will do everything for him.Above all I pray hard for this event to have the chace to win.Thank you and more blessings to come. I'm most excited next grand baby fair kasi I'm sure mas marami pang sponsors sa event ,more exciting giveaways and great deals for our babies needs.. nakakatuwa this year kaya I'm sure mas bongga next year.. plus ung mga celebrities. hehehe. I am actually excited for my niece who is yet to be born this coming May. It's been a while since a baby girl was born in the family and I would love to share almost everything with the little one. IT's going to be big savings, too!